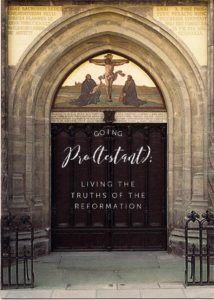 Cade Campbell, Associate Pastor for Preaching and Discipleship at First Baptist Church Henryville, Indiana, is preaching a summer series titled Going Pro(testant): Living the Truths of the Reformation. The series is going to attempt to be a unique blend of expository preaching, topical historical theology, and narrative church history. Each week Cade will take a specific theological theme or emphasis from the Protestant Reformation, ground it in a specific text of Scripture, and use the historical context, background, narrative, and individuals key to the Reformation as the illustrative framework. The aim is for the folks at FBC Henryville (and all who listen online) to come away with a better knowledge and appreciation of the Reformation as they are also equipped by Scripture to apply the truths of the Reformation to their own lives. Over the summer we’ll be posting links to the audio recordings of the series.